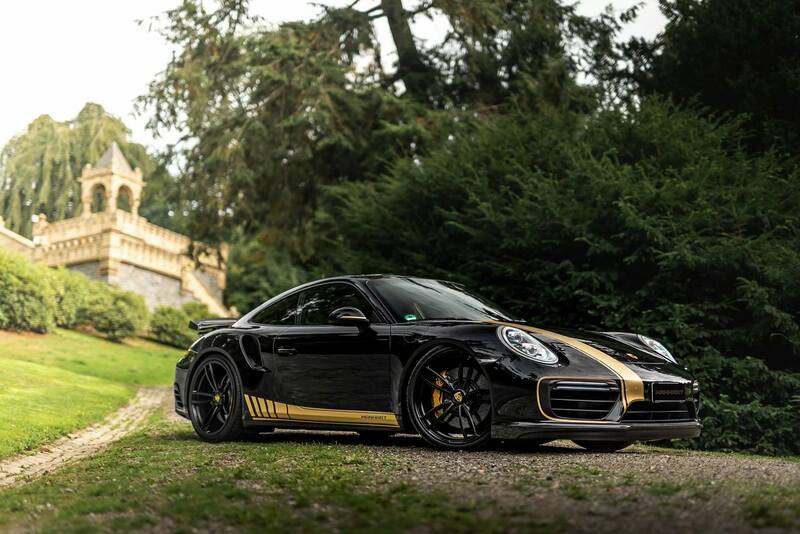 German tuner MANHART has just unveiled their latest project, and it’s called the “991.2 Turbo”. 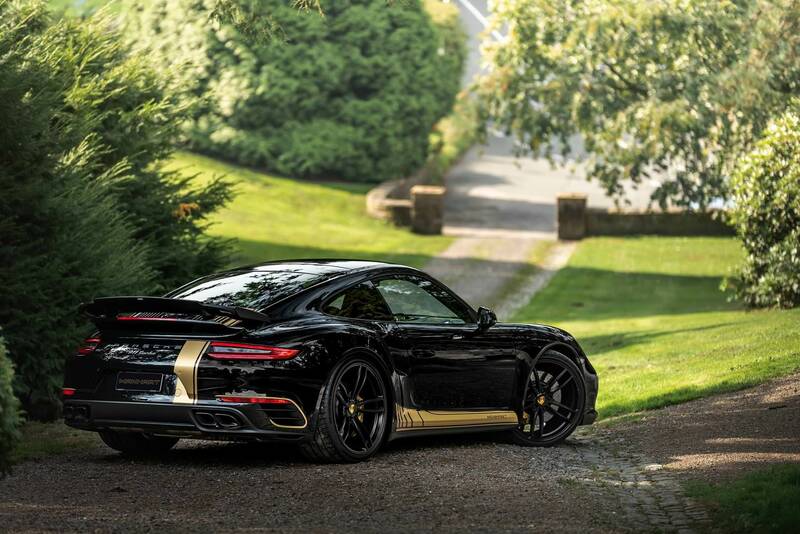 This tuned model boosts the turbocharged 3.8-liter, 6-cylinder engine to 670 hp and 642 lb-ft of torque, thanks to a remapped ECU and stainless steel exhaust system, good for a 0-62 mph time of 2.9-seconds. Continue reading for another video, more pictures and additional information. 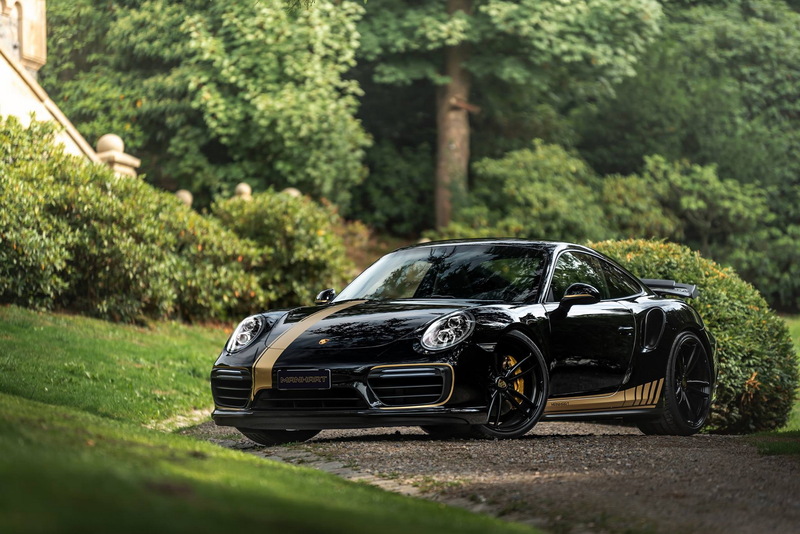 “The exterior has received the tuner’s signature look, namely a black finish with golden accents. Manhart’s 911 Turbo benefits from a new spoiler, too, in addition to a 30 mm (1.18 in) lowering kit and a set of aluminum wheels. 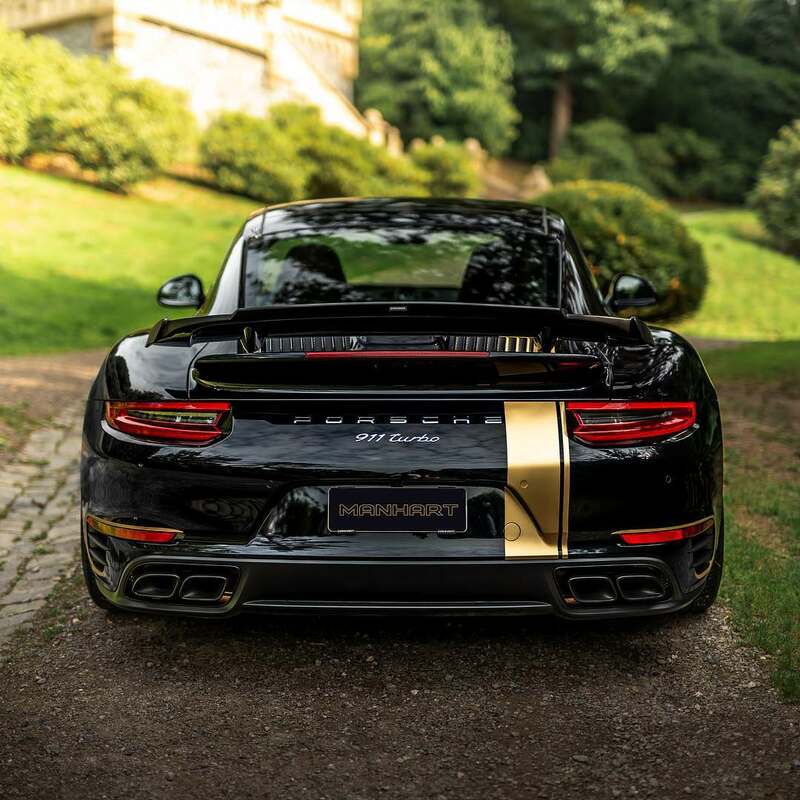 Called Techart Formula IV, they measure 21 inches in size, have a five double-spoke pattern and a black finish,” reports Car Scoops.